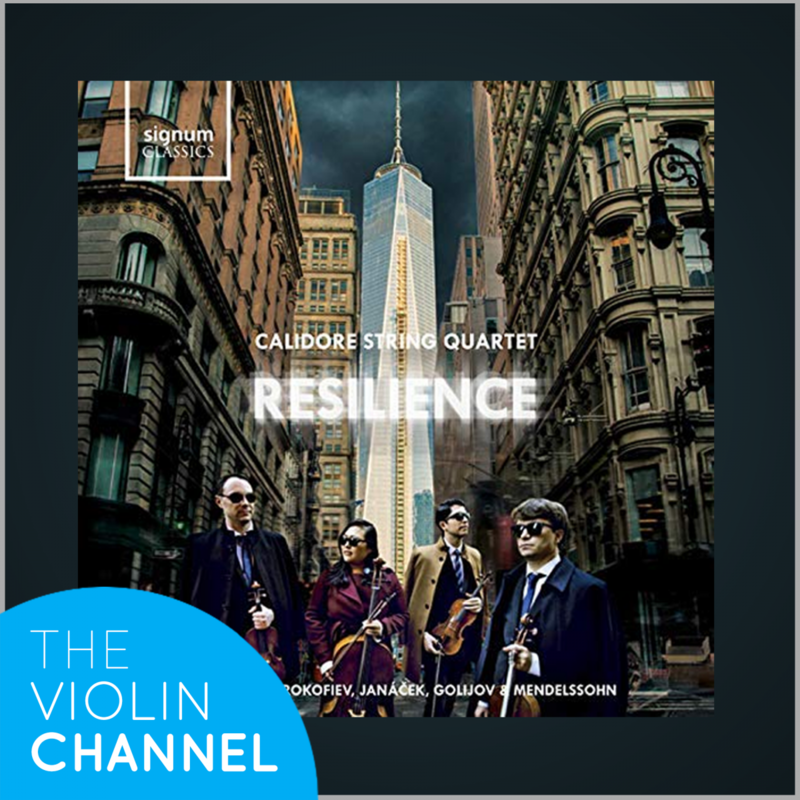 To help celebrate the international release of the the VC Artists Calidore String Quartet’s debut album, Resilience, The Violin Channel is this week giving away 5 personally-autographed fresh-off-the-press CD copies. The disc features Prokofiev’s String Quartet No. 2, Janáček’s String Quartet No. 1, Oswaldo Golijov’s Tenebrae – and Mendelssohn’s String Quartet No. 6. “The genesis for our album ‘Resilience’ was conceived during the tumultuous period leading up to and following the US presidential election of Fall 2016 …” violinist Ryan Meehan has told The Violin Channel. “Many millions across the world marched for a cause to address the divided nature of our society … these demonstrations led our quartet to wonder about our purpose as musicians during this time of social upheaval … we settled on the idea that we wanted to offer a message of strength and hope for our audiences across the globe … furthermore, we wanted to demonstrate through our music that the power to be resilient is inside each of us …” he has said. Entries close: 8th December 2018. Closing date for entry will be 11.59pm 8th December 2018 (New York Time). After this date no further entries to the competition will be permitted.